Playa del Ingles, literally translated as “Beach of the English” is situated in the south of Gran Canaria. 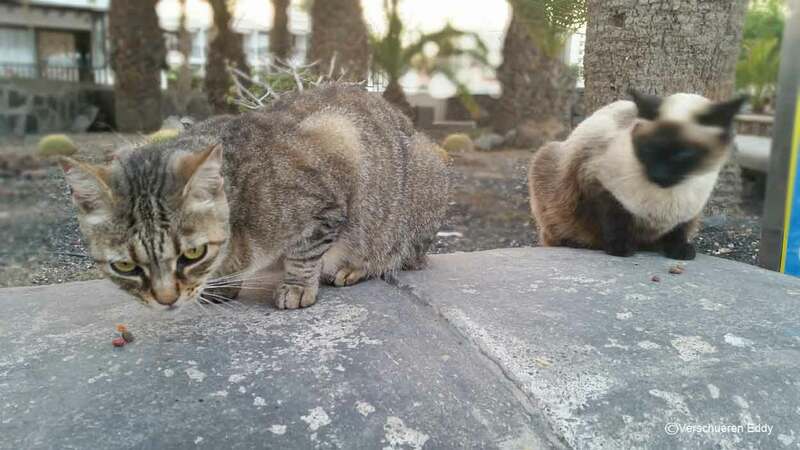 It is located between Maspalomas, Meloneras and San Agustin. Playa del Ingles is known for its vast beaches, sand dunes, hotels, apartments and villas. These are located on the Atlantic Ocean. Playa del Inglés is part of the municipality of San Bartolomé de Tirajana. This busy holiday region receives every year thousands of tourists. It is originated somewhere around 1962. It was created mainly for tourist exploitation and second stay in a bungalow or cottage. Playa del Ingles is also known for gay tourism. The area was previously agricultural land with the main objective of wheat and barley. After that tomatoes were cultivated for export. Today, this seaside resort receives millions of tourists from all over the world. The climate in the Canary Islands is unique. Playa del Ingles also can take advantage of the pleasant temperatures throughout the year. The average temperature at the beach is 22°C. The seawater 24°C which is pleasant for swimming. 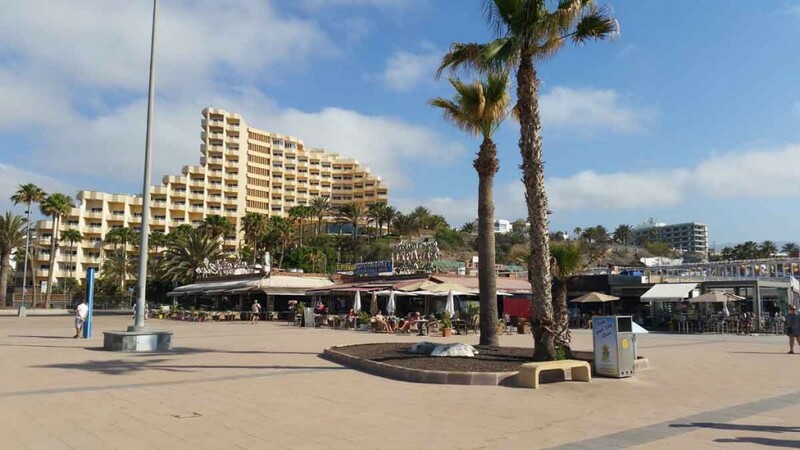 The wide beach of Playa del Ingles daily receives hundreds of tourists and this is also great for the day beach and beach activities for you. For food and drinks has been ensured in this resort town. There are plenty of restaurants and snack-bar. The restaurants, snack bars and fast food restaurants are spread across the center. Fancy restaurants you do not find here. Some of the restaurants positioned on the Paseo Maritimo. Here it is very busy all day. Also in the evening you can enjoy the dinner. The prices here are on average between 10 and 20 € per person. In almost every bar as well in the center and on the beach you can be enjoy breakfast, lunch or dinner. Half a chicken with chips and salad for example, you can easily find for € 6 per person. The drinks are average price of € 2, cocktails between 5 and € 7. Lovers of Chinese and Japanese are also more than in their element. Most of these restaurants operate on the basis of buffet. Also in Playa del Ingles fast food restaurants are not missing. Youth and families with children will find McDonalds and Burger King quickly in this vacation paradise. The promenade Paseo Costa Canaria is a popular promenade. These high boardwalk gives you a fantastic panoramic view of the beach of Playa del Ingles and San Agustin in the other direction. The promenade can be reached from the beach via a set of stairs and an elevator or escalator (at least if it works). During your tour, there are regular bench seats overlooking the sea. For lovers of cats, or cats, Feel free to bring some cat food with it. The animals are already accustomed to bring tourists to their particular evening meal. When you stroll pass bungalows to luxurious villas nicely manicured with native vegetation and beautiful flowers. This promenade you should definitely give sense evening at sunset or full moon. Tell me later what you think, okay ? At the end of the promenade there are some restaurants with terrace and sea views, shops, a perfumery and bars. In the evening there is live music. You are now in the small, cozy shopping center Tropical. Would you like to following a terrace still reminisce on a beach walk, this can with the beautiful stairs of granite and natural stone for safety have been finished with stainless steel handrails. Moreover, you can enjoy a magnificent view of the bay of Playa El Veril. May take a relax by the construction of two platforms. Here you can enjoy the view of the Atlantic Ocean. Beautiful pictures you can make here from Playa del Ingles and San Agustin, but also the sunset. You want more romance, please come back to this vantage point at full moon.